My review of the previous episode: Protected. British detectives - as a class - tend to be aristocratic and city-based (from Wimsey to Holmes). 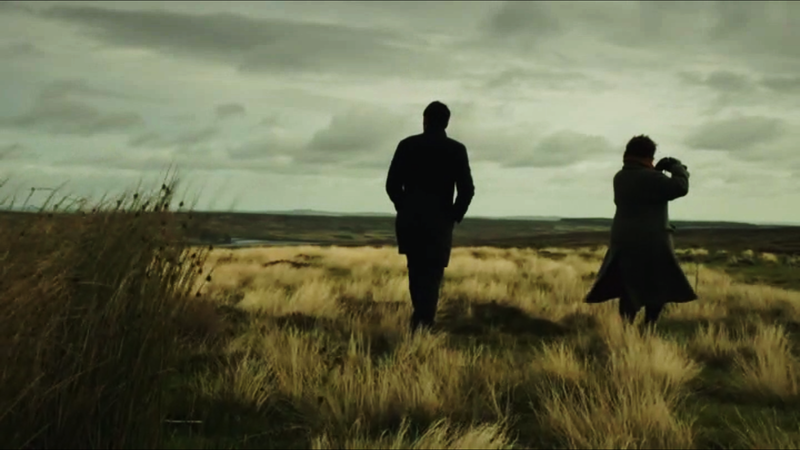 True, there’s the occasional working class plodder - Lewis and Frost, for example - but Vera’s the first detective I’ve encountered with her feet firmly in the country earth (photographed incredibly, in what, I think, is the first use of drones filming Vera). Poor citified Joe looks pained as she scoops up a handful of animal droppings and smells them deeply. They’ve just discovered a body - and the droppings tell Vera they should be looking for poachers. They quickly track them down - a pair of ne’er-do-well butchers. As it turns out, they were off trying to dispose of the remains of an accidentally killed stag when the dead man was being shot. 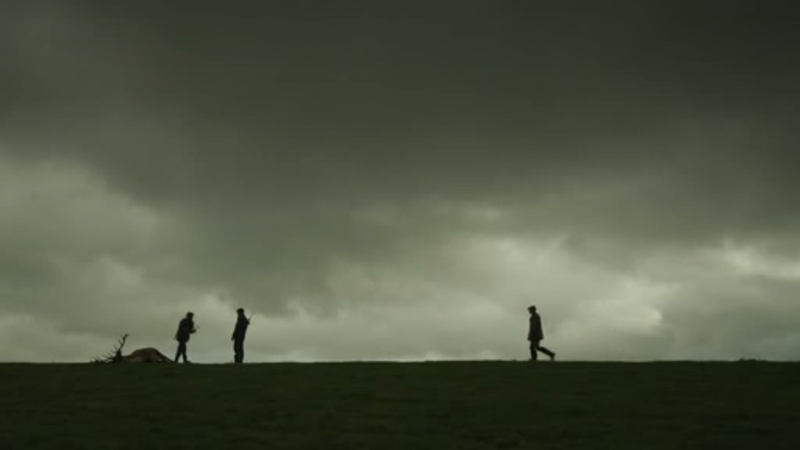 And more drama - as it turns out, the two teenagers who discovered the body - Saskia and Louis - were the children of one of the poachers, Linus Campion. Their mother, Vanessa, separated from their father, lives with them at the manor owned by her brother-in-law and sister, Will and Clare Peyton. The groundskeeper is her father, Allen Barnes. Feeling a little confused by how all this connects to the dead man? Well, at first it seems very little, for while he spent a lot of time at the manor, Shane Thurgood is mysteriously unmourned. Even his publishers - he had written one successful fantasy novel - don’t seem to mind his loss very much. Vera - who is looking for witchcraft - thinks there may be some clues in Shane’s unfinished novel. Could it be a metaphor for how he felt about the family at the manor? Sure enough, there’s more than a minor connection - he was attempting to carry on an affair with Clare Peyton, who broke it off. This leaves her husband with a motive. When confronted on the subject, he reveals that he suspects the truth, but hopes very strongly there was nothing in it. Ultimately, what sinks this episode is the fact that we never get a very strong idea of who Shane Thurgood was. Murder mysteries have power because they are about the loss of a human life - if the story cares very little about who the human was, it feels empty. That’s not to say there aren’t compelling characters - I was particularly interested by Vera’s interactions with Sassy - they both had difficult, dysfunctional relationships with their fathers, and Vera finds herself, briefly, in the role of a mentor. Meanwhile, this episode largely leaves behind the doings of sidekicks, though Marcus and Shep are still sighing in one another’s general direction. Vera gets to be in a bit of a danger which allows Joe to do his once-a-season smidgen of derring do (this ain’t exactly Luther). Tons of atmosphere mostly paper over the story's flaws, and there's a broad strain of humor which keeps the episode away from grimness. The ending itself makes sense and is a nice change from Vera's usual mess of destroyed lives - these people can probably survive the truth - it's not a complete disaster. My review of the next episode: Death of a Family Man. Where is the Peyton hotel location? A Northumbrian castle I hope?